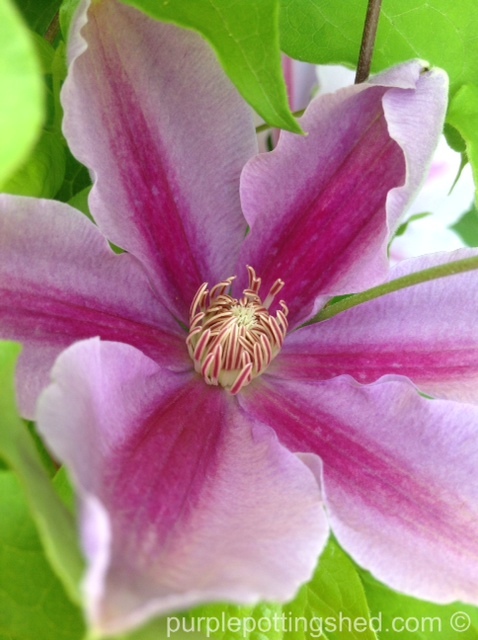 Next door to the ‘jackmanii’ clematis, blooms a ‘fireworks’ clematis. I take many photos of this clematis too! ‘Fireworks’ has a candy pink bloom with a cherry pink river up the middle of each petal. Again the center is a fascinating cluster of fairy hair. Nature has that way of mixing it up in the garden as shown with the extra-large bloom that opened beside an extra-small bloom – I thought of this pair as mom and babe! For more detail on clematis, click here. 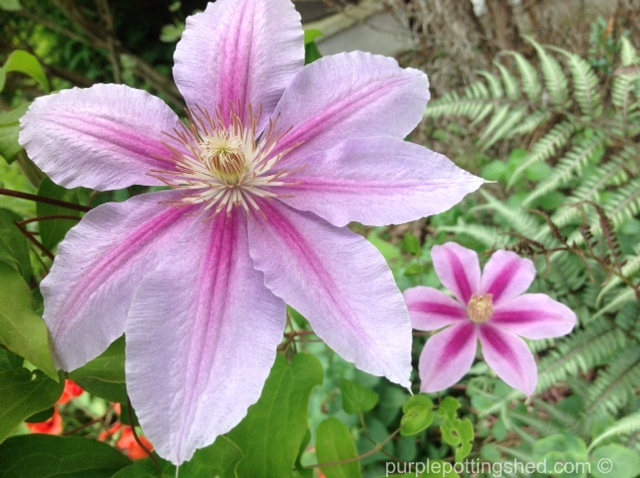 Posted on July 30, 2014 by Purple Potting Shed and filed under Vines and tagged Gorgeous blooms Clematis. GET YOUR DOSE OF GARDEN JOY!